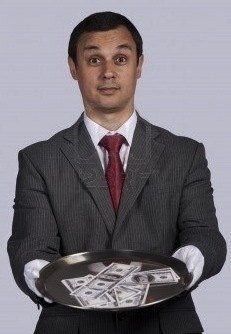 McAfee Profitability Stack: You Want Fries and With That? It sounds like a really big happy meal for channel partners. The new McAfee Profitability Stack serves up a range of beefy options to help VARs maximize their security software profits. So, will partners eat up the concept -- especially as Sophos, Symantec and Trend Micro (among others) continue to counter the Intel-McAfee combo? It sounds like a really big happy meal for channel partners. The new McAfee Profitability Stack serves up a range of beefy options to help VARs maximize their security software profits. So, will partners eat up the concept — especially as Sophos, Symantec and Trend Micro (among others) continue to counter the Intel-McAfee combo? Here’s the background. Deal Registration: Featuring partner protection and up to 25% of additional margin on top of standard channel margin for partners who secure incremental new business and additional margin for suite upgrades, McAfee stated. Incumbency Advantage: Provides the incumbent partner with additional margin on the first renewal. A Rebate Tracking Report to track earnings potential via a weekly rebate tracking report. Also, the Accredited Channel Engineer incentive rebate is now available globally, the company said. Rewards that include $25,000 in quarterly SMB Endpoint “Top Performer” payouts and $35,000 in Commercial Endpoint “Top Performer” payouts, McAfee said. A Teaming Plan that gives partners deal protection and additional margin for helping to work and close McAfee-found opportunities. Tiered Pricing for Elite and Premier Partners’ investment in McAfee. Translation: McAfee seems to be saying “do more for us and we’ll do more for you.” Moreover, this is one of McAfee’s most significant channel moves since Gavin Struthers, senior vice president of worldwide channels at McAfee, shifted into that post a few months ago. Trend Micro, after going quiet in the channel during most of 2011, has been making noise recently — including a partner program update and security for Windows Server 2012 Essentials. Symantec continues to push in new directions, including deeper integrations with MSP software dashboards. Sophos recently changed channel chiefs and is making partner program enhancements. And several weeks back, Kaspersky Lab vowed to dominate the SMB security market. Partner Profits: Slimming Down or Beefing Up? With all that competition, you’d think security software profit margins are getting squeezed. But McAfee seems intent on proving that wrong with the Profitability Stack. If you give it a try let The VAR Guy know if it beefs up your bottom line. That’s all for now. It’s getting late… and The VAR Guy is running out of puns. Did you use the McDonald’s free wifi as you wrote this? Mr. Tibbils: Remember that nothing is free in life. Well, except for advice from an anonymous blogger.